Here's where to watch every episode of The Last Leg season 7. Mouseover or tap an episode to see where to stream it. Click or tap the play icon to stream it on the best available service. Episode 1 Feb 12, 2016 The award-winning show is back for a seventh series. Adam Hills hosts along with Josh Widdicombe and Alex Brooker. Guest Richard Osman joins them to pick over the week's news. Episode 2 Feb 19, 2016 Catherine Tate joins Adam, Josh and Alex to pick over the week's news. Episode 3 Feb 26, 2016 Sue Perkins joins Adam Hills, Josh Widdicombe and Alex Brooker to pick over the week's news. Episode 4 Mar 4, 2016 Caitlin Moran joins Adam Hills, Josh Widdicombe and Alex Brooker to pick over the week's news. Episode 5 Mar 11, 2016 Richard Ayoade joins Adam Hills, Josh Widdicombe and Alex Brooker to pick over the week's news. 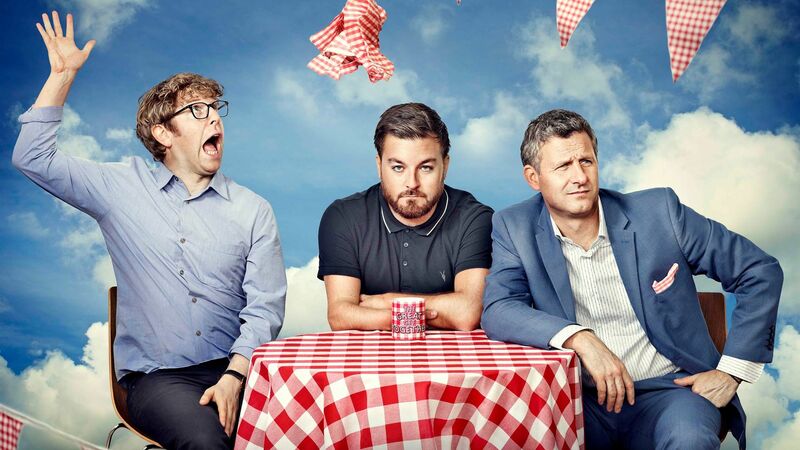 Episode 6 Mar 18, 2016 Louis Theroux joins Adam Hills, Josh Widdicombe & Alex Brooker to discuss the week's events and answer your #IsItOK questions. Episode 7 Mar 25, 2016 Jonathan Ross joins Adam Hills, Josh Widdicombe and Alex Brooker to pick over the week's news. Episode 8: Your Mum Apr 1, 2016 The Last Leg has been renamed as Your Mum for the final show of the series, after a viewer vote to rename it. Charlotte Church joins Adam Hills, Josh Widdicombe and Alex Brooker as they tear into the weird and wonderful talking points of the week in front of a live studio audience.